In the late 1940’s, after the end of World War II, the tract home took off in popularity as millions of houses were constructed across the states. 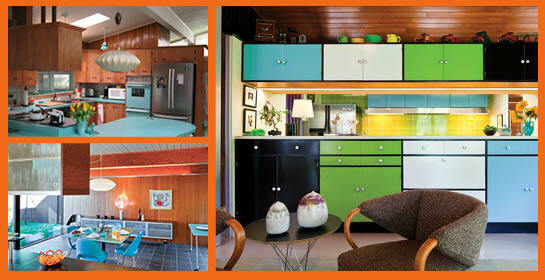 The ranch style became the dominant design, and at the time was considered a radical new approach. 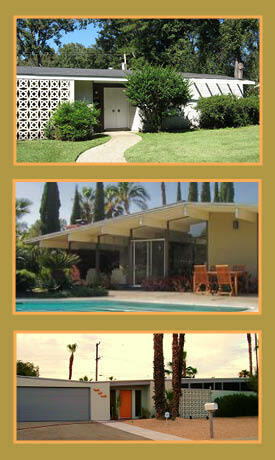 Many architects began add modernist themes to these tract homes. The single stories, low-slung roof lines, new open spaces, clean lines, and picture windows differed from the original bungalow, cottage, and two-story traditional houses. These architectural plans paired well with the clean lined, modern furniture that was beginning to take rise as well. These houses have now found a resurgence of popularity as new owners are purchasing them and painstakingly restoring them to their original glory. The term used to describe such a gem today is Atomic Ranch.